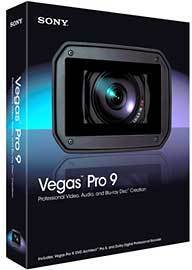 Vegas Pro 9, Video Software from Sony in the Vegas series. Product replaced by the Magix Vegas Pro 14. 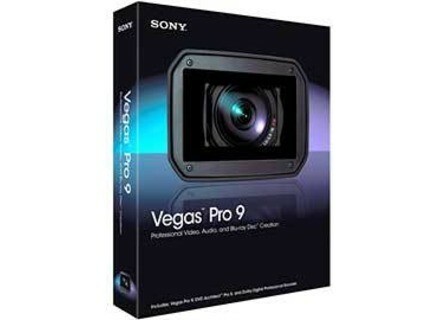 Sony Creative Software has updated Vegas Pro to v9.0e. Fixed a bug that could cause Vegas to crash when opening a project and building audio proxy files for media files that have been moved. Fixed an issue that caused AVI files to load slowly. Fixed an issue that caused projects containing HDV and AVCHD files to load slowly. Fixed an issue that could prevent single-layer PSD files from opening. Fixed an issue opening layered grayscale PSD files. You can convert these images to RGB Color mode for access to the layers. Fixed an issue that prevented 5.1 surround projects from being burned to DVD from the timeline. Adobe Premiere Pro CS5 Adobe Systems Incorporated has announced Adobe Premiere Pro CS5, a new release of the nonlinear editor, offering "breakthrough performance and features that drive post-production workflows". Barco FSN Series Multi-format Production Switchers At ISE 2010, Barco introduced PlusPAK, a new configuration package for the FSN Series switcher. vvvv v4.0 Beta 22 vvvv group has released beta 22 of vvvv v4.0.